Google have recently released a brand new feature called Fetch and Render located within Webmaster tools. 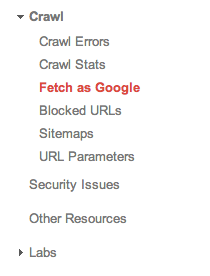 The previous version of the tool entitled ‘Fetch as Google’ allowed webmasters to submit their site URLs and view the code that Google was able to see. This is a great tool web owners can use to make sure all pages are rendering correctly to the search engine. This makes it remarkably easy to diagnose and identify parts of your website that aren’t rendering properly across devices and may lead to poorer search results performance as a result. It is definitely worth running your site through this tool to double check you are providing everything you can and properly to Google. It’s not only interesting to finally be able to see websites through Googlebots’ ‘eye’ but especially useful if you are relying on customer leads, traffic and sales from organic search. 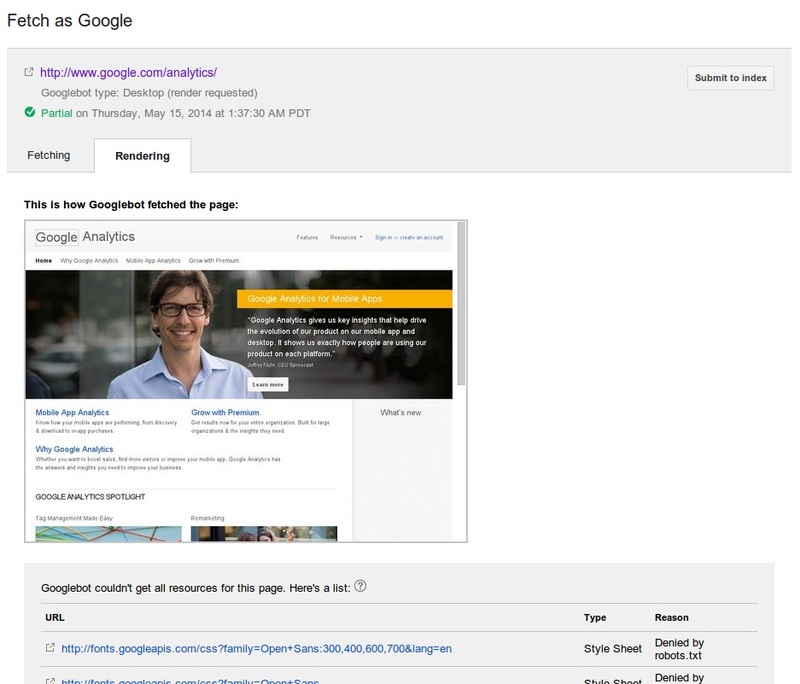 First step is to head over to the Google Webmaster Tools dashboard. Here you can input a specific URL from your site or leave it blank to fetch the homepage. Click Fetch and Render. Let Google do its magic and ta-da, you’ll get a page notifying you that Google has completed the fetch and will be presented with a preview screen showing your rendered website. Google will also provide a brief summary of the resources that it couldn’t crawl and the reason why it couldn’t crawl them e.g. denied by Robots.txt in the above example. Use the output of this to brief your web supplier to correct any issues found and you should see an improvement in your website’s performance once you have worked through all of the issues. If you’re unsure about how your website is performing technically, contact us for help.